The well-known global leading provider of gaming consoles, Nintendo has officially announced its new Nintendo 3DS at 2010 E3 Expo. It’s the portable 3D gaming system which eliminates the need of a special 3D glasses, equipped with a 3.53-inch (800×240 pixels) top 3D screen and 3.02-inch (320×240 pixels) bottom touch screen. 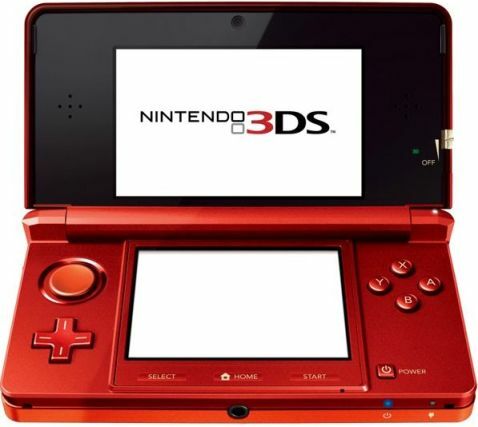 In addition to the dual display, Nintendo 3DS with Wi-Fi connectivity also features three camera (1 inner and 2 outer) to enable the 3DS to capture 3D photos for delivering an ultimate 3D effect. Furthermore, Nintendo 3DS that fully backward compatible with Nintendo DS/DSi game titles also incorporates a motion sensor, gyro sensor as well as Slide Pad that offers 360-degree analog input, aiming to enhance your game control experience. Nintendo 3DS which measures 130×74×20 mm and weights just 230 grams will be available in 3 variants of 2-tone color scheme – black and blue, black and red or black and grey. 2GB Nintendo Game Card is included in a package but the launch date and pricing details for Nintendo 3DS have yet to be announced.